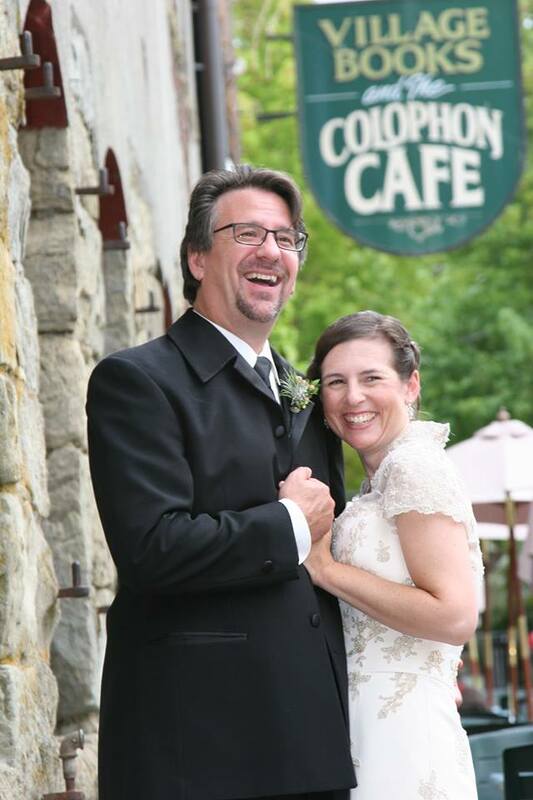 Paul Hanson and Kelly Evert, both booksellers at Village Books in Bellingham, Wash., were married last Sunday in a ceremony held on Bellingham's Village Green, right behind the bookstore. The ceremony drew 130 attendees, and among those guests four local indies were represented: Port Books & News in Port Angeles; Eagle Harbor Book Co. on Bainbridge Island; the Traveler, also on Bainbridge Island; and Seattle's Elliott Bay Book Company. Several writers, including Julie Trimingham and David Guterson, also attended. Joan Terselich, a fellow Village Books employee, married the couple, while Sam Kaas, another Village Books bookseller, served as master of ceremonies. After Terselich pronounced the couple husband and wife, Evert, in a burst of sudden irrepressible joy, shouted "holy crap," and "we did it!" The Book Fare Cafe, located above Village Books, hosted the reception. In lieu of presents, the wedded couple asked guests to bring either food or a recipe, and they plan to print a collection of those recipes on the store's Espresso Book Machine. Let Them Eat Cake, a local bakery, provided the book-inspired wedding cake, and flowers in mason jars placed atop stacks of books served as centerpieces for the reception tables. "This bookstore wedding was put on with a great deal of help from the Village Books staff and their families," said Hanson. 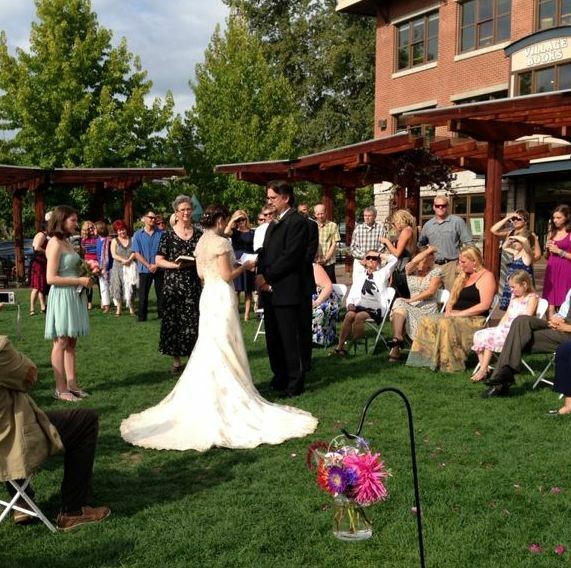 "It truly took a Village to make this wedding happen."